If you’re looking for the best tablets for kids in 2015, our comprehensive buying guide will help you decide. Are your kids using your tablet more than you? Maybe it’s time to consider getting them a tablet of their own. What is the best tablet for kids? 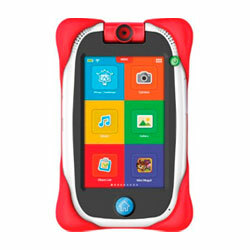 For preschool kids, we like the LeapPad Ultra. For grade school children, we like the Fuhu Nabi 2 though Samsung is releasing the Samsung Galaxy 3 for Kids soon, which might challenge it for the top spot. For tweens, we like the Fuhu Nabi XD. If you are looking for an affordable grownup tablet configured for kids, we like the Amazon Kindle Fire HD because of its robust parental controls. The best cheap Android tablets for kids include the Google Nexus 7, ASUS MeMO Pad HD, and the Hisense Sero 7 Pro at Walmart. Check out the rest of our buying guide for more options. Below we’ve rounded up all the best kid friendly tablets of 2015. Many parents want to know what grownup tablet is best for kids? We like tablets with built-in parental controls and those that are affordably priced. We agree with the discussion on Flyer Talk; while many kids want the iPad Mini, parents don’t need to spend so much on a tablet. There are a lot of cheap Android tablets for kids that will entertain kids in the back seat on long car trips. While many tablets have nice features, kids basically use them to watch movies and play simple kid games. The following grownup tablets are on our list of Top 10 Tablets for Kids. With all of these choices, we recommend getting a sturdy case. 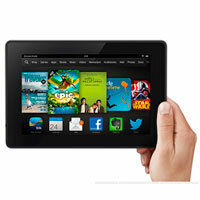 With the Kindle Fire HD starting at $139, it’s a great affordable tablet for the kids. 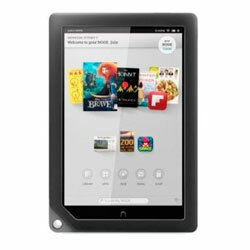 With Amazon’s catalog of media, the Kindle Fire HD is the best tablet to read books, read magazines, and watch videos on. 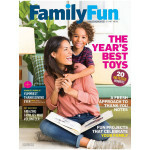 Amazon even offers an inexpensive paid service that offers thousands of unlimited apps, books, and shows just for kids. What we love about the Kindle is Kindle FreeTime which offers a great set of parental controls. Parents can set daily time limits for how long kids can watch and play by either total time or by content. The simple interface with large icons is easy to navigate even for kids. The iPad is the tablet that your kids really want. 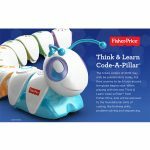 You can’t beat the hardware and selection of kid-friendly and educational apps. The 7-inch iPad Mini is the perfect size for small hands. It will run all of the apps on the App Store at a much lower price than a regular sized iPad. For kids, we recommend a refurbished or second-hand model to save even more. Of course, parents will have to take more responsibility in watching over what content kids are viewing on the device. Although the iPad doesn’t give you a full set of parental controls, you can restrict access to content and apps using Restrictions. We also recommend getting a kid-proof case like the Khomo Safekids. With a great price point the Samsung Galaxy 2 is a great tablet to give to the kids, provided parents monitor their kid’s usage and get a sturdy case. It comes with great performance and ample storage (8 GB). It’s a full-fledged Android tablet with access to the Google Play store so the user interface is a little more complicated. 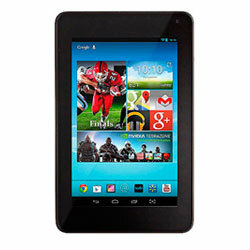 Usually tablets in this price range lack performance, but this tablet is fast and comes with Android 4.03. Its 7-inch screen makes it perfect for smaller hands. Tested battery life is around 7 hours. Engadget said it’s great for the price. Customers on Amazon love it, awarding it a 4.3 out of 5 stars. With a small price tag, the 9-inch Nook HD+ is a fantastic value for kids. The Nook’s user interface allows parents to create child profiles, which allow parents to limit what content children can access. The carousel user interface is easy for kids to learn and operate. If your kids love reading books or magazines, this is a great tablet to read on with its large 9-inch screen. Books, magazines, and games look great on the 1080p HD screen. While you can purchase great apps through the Nook app store, the store doesn’t offer as much content as the Amazon, Google, or Apple app stores. CNET awarded it the Best Tablet value in their review. Customers on Amazon awarded it a solid 4.2 out of 5, with many saying it is easy to share the tablet with kids. 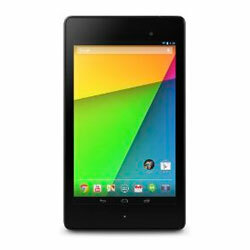 With a great screen, speedy performance, and affordable price tag, the new Google Nexus 7 is a great tablet for kids. The razor sharp 1080p, 7-inch screen is perfect for children. It’s equipped with a 5- megapixel camera on the back and a standard 1.2-megapixel camera on the front. It comes loaded with the newest Android operating system, 4.3. Quad-core performance means kids will be able to run all the latest apps. Since this a general tablet, parents have to monitor their children’s usage and may want to get a case. CNET called the Nexus 7 the best small tablet. Customers on Amazon rated it 4.2 out of 5. You can even save a little money going with last year’s model. If you want to get your kids an affordable Android tablet with great performance, the Acer Iconia is an unbelievable value for a quad-core processor equipped with Android 4.2. 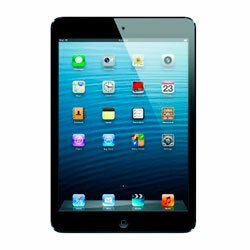 Though thicker and heavier than the iPad Mini, the form factor is nearly identical to the iPad Mini with a 4:3 aspect ratio. It’s got a 5-megapixel camera on the back and a low quality resolution camera on the front. It’s not an iPad Mini, but at a fraction of the cost and featuring great performance we believe it’s a great tablet for kids. Since its a full Android tablet, parents have to watch over their children’s usage. Customers on Amazon love the Acer Iconia A1, awarding it a 4.5 out of 5 stars. We know according to a CNET discussion that some parents just want a cheap tablet for kids. 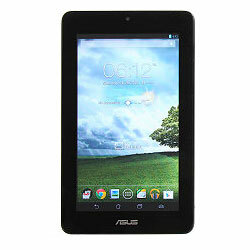 Sporting one of the lowest price tags, the Asus MeMO Pad is a surprisingly decent tablet for kids. It offers great bang for your buck. The 7-inch tablet is portable and lightweight (under 1 lb). Plenty of storage, 16GB, is included with the option for memory expansion up to 32 GB. Additionally, you get the latest version of Android 4.1 (Jelly Bean), a responsive tablet, good battery life (up to 7 hours), sufficient memory for basic usage, parental controls, and a relatively fast dual-core processor to run your favorite apps. You can even shoot HD video or photos with the built-in HD camera. With Google Play, you’ll have access to thousands of apps. The MeMO Pad is the best value for those who want an affordable, functional, and fun tablet. If you are willing you can even step up to the ASUS MeMOPad HD, which is a 1st-Generation Nexus 7 with a rear-facing camera and a micro SD card slot. Although it’s only available at Walmart, the Hisense Sero 7 Pro is a very cheap Android tablet for kids. Hisense is a Chinese manufacturing company and a relatively newcomer in the tablet market, but for the specs this tablet is a great value. Performance is comparable to the 1st-gen Nexus 7, but comes in at a price nearly $50 cheaper. 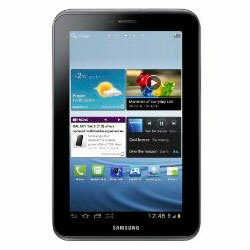 It’s a high-end “budget tablet.” The tablet includes a quad-core Tegra 3 processor and Android 4.2. You wouldn’t expect a whole lot for the price, but the screen is sharp and the tablet responds well to touch. Unlike the Nexus 7, it also includes a micro SD slot. Tested battery life is about 7 hours. Engadget said it had a gorgeous display and sophisticated design, making it a great value. PC Magazine awarded it 4 out of 5 saying it had an unbeatable price and solid features. Customers on Walmart love it, awarding it a 4.6 out of 5 stars. A parent on CafeMom asked what is the best kids tablet for her 2- and 5-year-old. Many parents are asking the same question. Here are the top tablets for kids under 7. This is version three of LeapPad’s hugely popular kids tablet. 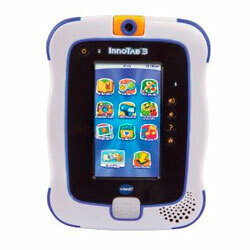 It’s the best kids tablet for preschoolers in 2013. Kids love the new larger 7-inch screen which makes it seem just like a grownup tablet. The new version has twice the memory of last year’s model and finally has a built-in rechargeable battery that LeapFrog claims lasts up to 9 hours. One of the newest features is kid-safe web browsing. 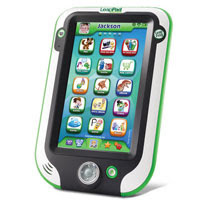 We like that the tablet only lets kids access content that has been screened by a team of learning experts at LeapFrog. However, presently most of the content offered is related to animal videos or photos. Hopefully, more content will be offered in the future. The built in Wi-Fi does allow parents to purchase apps through the device itself. 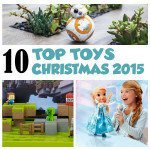 Reviews by both toy experts and customers alike have been overwhelmingly positive. ToysRus, Time To Play, and Dr. Toy have awarded the LeapPad Ultra as one of the hot holiday toys. Customers on Amazon awarded the tablet 4 stars out of 5. VTech’s InnoTab 3S is a good value in the kids’ tablet market, as the tablet and apps are affordably priced and it’s a great investment in your child’s learning. It’s a great alternative to the iPad, with similar functionality but simplified to be kid-friendly and age-appropriate. It’s also much more affordable than the LeapPad Ultra. The 3S offers improved functionality over its predecessor- packed with a rechargeable battery for up to 9 hours of learning fun, a new 2.0 MP rotating camera for creative shooting of photos/video, messaging with smartphones, kid-safe web browsing, memory expansion up to 32 GB, and a new D-pad for enhanced learning game experiences. In addition to having a rotating camera, the Nabi Jr has a separate Nabi Mode designed for children and a Mommy/Daddy Mode, which lets parents access Android mode. With a 5-inch screen, it is the perfect size for small kids. It’s got a rubberized red sleeve on it to protect it from accidents. Tested battery life is 5 hours. 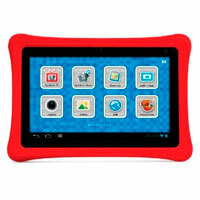 Consumer Reports awarded the Nabi Jr the best tablet for younger children. Customers on Amazon awarded it 3.0 stars out of 5, citing the lack of quality customer service and quality control issues. 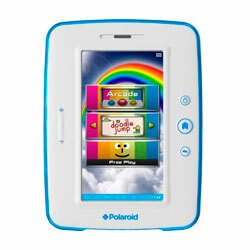 Along with pre-installed software, the Polaroid kid tablet has the ability to download apps on the Amazon app store. It’s a solid tablet for children. With the Maxathon Safe Browser, parents can create icons to sites that they allow kids to view. Consumer Reports found that the Polaroid tablet had some good features but had limited hardware and battery life. Tested battery life is a little over 4 hours and there is only one camera. Customers on Amazon awarded it 3.5 stars out of 5, stating that it is slow. Here are the top tablets for grade school children. 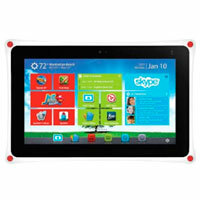 The Nabi 2 is widely considered to be the best tablet for kids. While other comparable Android tablets for kids are slow, the Nabi kids tablet speeds along with its quad-core processor. It comes pre-loaded with educational software and includes a micro SD card slot. It’s got a protective rubber bumper, designed to take a licking. Tested battery life is around 6.6 hours. Parents can access “Mommy/Daddy” mode, which allows them to use the tablet like a regular Android tablet. Critics love the Nabi 2. In their kid tablet test, Consumer Reports called it a kid favorite and the most powerful tablet for kids. PC Magazine awarded it 4 out of 5 stars — calling it not only a great kid tablet, but also a solid Android tablet. Laptop Magazine called it the best Android tablet for kids, giving it 4 out of 5. Customers on Amazon gave it 3.2 stars out of 5. Disappointed customers mainly pointed out the lack of support and quality control problems. 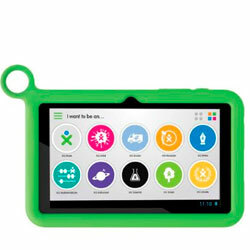 Created by One Laptop Per Child, the same company responsible for the XO Laptop — the XO Tablet comes in a cool rugged neon green case with a little loop that children can hold. It features a dual-core processor and around 7.5 hours of battery life. The screen quality is not the best and it’s not the most powerful hardware but it is functional. The XO Tablet comes bundled with a wide variety of content, featuring around 150+ educational apps and a library of public domain books, making it a kids learning tablet. The apps are organized in a neat interface called “Dreams,” which lets kids explore their career and interests. Parents have access to a full Android tablet and parental controls allow parents to control what children have access to. Here are the top tablets for tweens. We like the Fuhu Nabi XD for tweens. It’s got parental controls under the Nabi Mode, which lets parents manage their children’s app usage. Mommy or Daddy Mode provides parents with full access to Android mode. Consumer Reports called the Nabi XD the best tablet for older children. At a resolution of 1366×768, the screen is ideal for viewing photos, playing games, and reading. It’s got great battery life at 8.6 hours. There’s a ton of built-in software, including games and apps that can be used for school. Android Police loved the Nabi XD because it can access the Google Play app store, which means older kids are definitely going to get more out of it. Although it is marketed to tweens, the biggest downside to this tablet is that there is no protective bumper. Customers on Amazon awarded the Nabi XD a 3.3 out of 5. Most customers loved it but a few cautioned about the lack of a protective case and minimal customer service. Which Tablet Is Best For Kids? According to Tech Crunch, now tablet computers are just as popular with kids as adults. What is a good tablet for kids? The best tablet for your child depends on their needs, age, and your budget. For some parents the best kids tablets are the ones already pre-configured out of the box for kids. In addition to having built in parental controls, kid tablets are designed to have age-appropriate educational content and features. That is why they are also called learning tablets for kids. Most general purpose tablets don’t have learning apps installed or robust parental controls. There are three types of tablets for children. 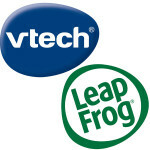 LeapFrog and VTech each have come out with toy tablets which contain similar features as grownup tablets but are less complex. 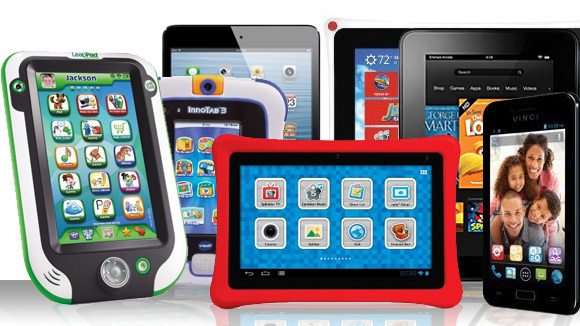 These tablets feature touch screens, music players, cameras, and children specific learning content. The tablets have colorful plastic cases designed to appeal to kids. Parents don’t have to worry about inappropriate content as these tablets have limited web capabilities. Additional software can be purchased by buying $20 to $25 cartridges or apps through the online app store. While battery life used to be an issue, on more recent models, battery life has improved thanks to built-in rechargeable batteries. Toy tablets are the best kid tablets for younger children. We recommend these tablets for kids over the age of 3 and under 7. If your child is over the age of 7, you should consider a more advanced tablet that will grow with your child. For older kids, these tablets will feel too much like a toy. Now there are a ton of children’s tablets using the Android operating system. These tablets have a customized version of the Android operating system, featuring an easier to use user interface with nice, large, and colorful buttons. Much like traditional tablets, they operate on rechargeable batteries. These tablets usually come loaded with children specific content. Parents can download additional apps through the app store. The biggest selling point is that these tablets come with dedicated parental controls to keep kids safe online and limit usage. Some tablet makers are making it easier than ever to configure a regular tablet for kids. Grownup tablets like the Kindle Fire have built-in parental controls, making them good tablets for kids also. Most kid tablets not only feature built-in parental controls, they also come pre-loaded with software that appeals to kids. Grownup tablets are not an out-of-the-box solution and require parents to research what apps and content are suitable for their kids. Still, many of these grownup tablets are in the same price range as tablets designed for kids, making them a great option for many families. We hope our guide answered “what is the best tablet to buy for kids.” If you have any questions about our recommendations, please feel free to leave a comment below. Summary: Nabi because it is built for kids. Summary: Leapster, Nabi, Kindle Fire, and Nabi Jr mentioned. Summary: Kindle Fire is the best media consumption tablet and Barnes & Noble Nook HD+ is the best value. I like the ideal of the Nabi tablet being rugged and tough. I like the learning features on it. Of course Leap Frog Ultra has a lot more learning apps and devices as well.I believe it is really up to what a parent likes the best for their child. Also every tablet has the different levels of learning.